Two drivers face grid penalties this weekend and both of them relate to incidents that happened last weekend in Austin. Sergio Pérez was handed the unusual seven-place grid penalty after being found to have driven recklessly and caused a first lap incident with Adrian Sutil. Daniil Kvyat is taking on the rest of his penalty from the US Grand Prix, after changing his engine that weekend. He couldn't take the full ten place drop there, and the hangover affects his Brazil starting position as well. 7 places. 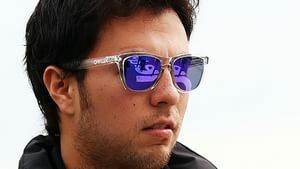 Sergio Pérez - A drop of 7 grid positions at the driver’s next event. (2 penalty points awarded, 2 points total for the 12 month period). The driver of car 11 could not reasonably have expected to complete the manoeuvre. His collision with Adrian Sutil was reckless.